We’ve talked last month, in an earlier post, about some imminent updates in Google Analytics Dashboard for WordPress. This post included details about new cool features and user experience improvements available in GADWP frontend component. 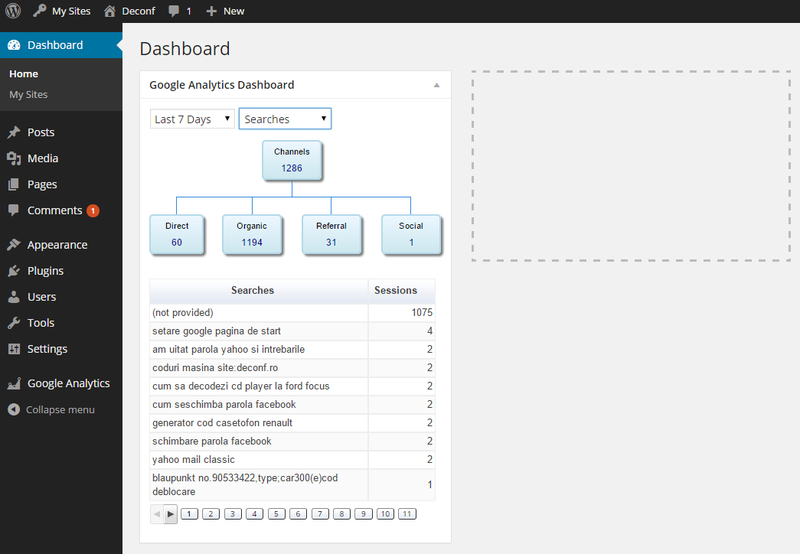 In Google Analytics Dashboard version 4.4 part of these improvements and lots of other features were implemented on backend as well. The main goal was to make the dashboard widget to load a lot more faster, without blocking the normal dashboard rendering process. 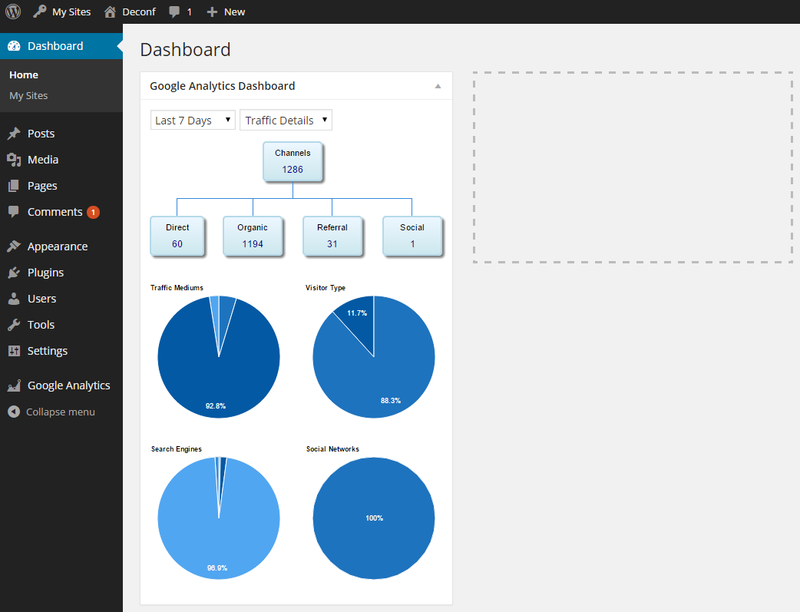 Basically, with this new update, the dashboard widget will be displayed without blocking the normal loading of your admin screen, while your reports or charts will be rendered only after the necessary analytics data is retrieved. A second goal was to have sessions by country (or city) displayed on a Geo Map chart and in a table chart, to remove the “top 24” limit from Pages, Referrers and Searches reports, and to add some new cool reports (in Pie charts) about Search Engines, Social Networks and Acquisition Channels. The additional stats placed at the bottom of the main chart were moved; charts like World / Country Map, Top Pages, Top Searches and Top Referrers. These reports are now available as new items under a drop-down selection box (see image bellow). The “top 24” limits were also removed for a better view over your analytics data. All these reports are an improved version of your older reports. The “top 24 limit” was removed and a neat Acquisition Channels chart was added at the top. These reports are also available under the same drop-down selection list, as shown above. This report will display the old data from your Traffic Overview report along some new charts with details about Acquisition Channels, Social Networks and Search Engines.